bigheadtaco.com: Ride On Vancouver: Wooden Bike Accessories! I admit that wood accessories look cool on a bike, although I think other materials make more sense, like carbon-fiber, leather, titanium, etc. But as a fashion item, practicality is not as important as the visual cue; and visually, it looks pretty sweet!! 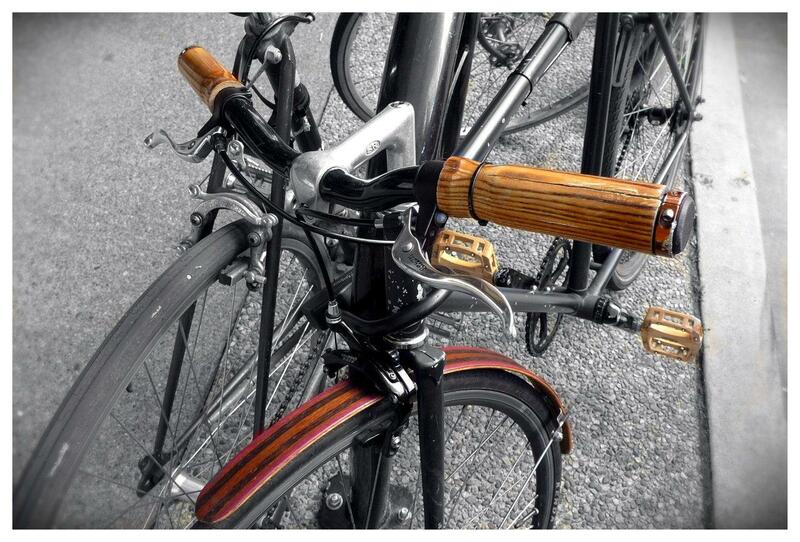 Wooden hand-bar grips (does it really grip though? ), wooden fenders (both front and back) and wooden pedals. Ride-on wooden accessorized bike!! Ride-on! !